VANCOUVER, CANADA - Greenpeace Canada launched 12-person aerial bridge blockade in the path of a tar sands oil tanker currently docked at Kinder Morgan’s Trans Mountain pipeline terminal. Seven people rappelled from Vancouver’s Ironworkers Memorial Bridge in a courageous act of resistance to stop the Trans Mountain Expansion pipeline and tanker project (TMX). Five more climbers are reinforcing the blockade from the bridge catwalk. “This act of resistance shows the urgency of the issue. These climbers have put their bodies on the line to send a powerful message to global leaders, the oil industry and the banks that provide finance for oil projects—and message is that we are running out of time to preserve a liveable environment that supports life. We are deeply concerned about the future of this planet in terms of clean drinking water, healthy ecosystems, and a stable climate. We must act now, all of us, to stop financing and building dirty oil pipelines that puts water and oceans at risk of oil spills and pushes the climate over the brink,” said Molly Dorozenski, Campaign Lead at Greenpeace U.S.A. The climbers forming the blockade are from the U.S. (Washington State), the Coast Salish community, the U.K., Mexico, and the Canadian provinces of British Columbia, Alberta, Quebec, and Ontario. The climbers are planning to raise six banners reading “Protect Water #StopPipelines,” “Protect Water,” and “Protect the Salish Sea” in different languages. The banners highlight the threats to clean water posed by oil spills from the TMX pipeline and the 400 tankers it could bring each year to the Salish Sea (off the Washington and British Columbia coasts) to refineries all along the U.S. coast  . The climbers will also raise a banner reading “Don’t bank on pipelines”, which extends to thebuilders and financiers of other controversial oil pipelines across North America, including any considering backing TMX. The seven climbers now suspended below the bridge are flying vibrant red and teal streamers emblazoned with artwork by celebrated Indigenous artists resisting the pipeline project, including Jackie Fawn, whose resistance art during Standing Rock quickly became iconic . Greenpeace U.S.A. recently released a report  documenting the threat that the Trans Mountain Expansion Project poses to local communities along the Pacific Coast. Greenpeace released the report while the historic ship, the Arctic Sunrise, sailed the Salish Sea near Seattle, Tacoma, Bellingham, San Juan Island, and Port Townsend. The ship followed the route that would experience a seven-fold increase in tar sands oil tanker traffic if the pipeline expansion is completed. The report documents the communities threatened by the Trans Mountain Expansion Project, which would worsen the effects of global warming, risk poisoning water, jeopardize the hundreds of thousands of jobs that depend on clean coasts, violate Indigenous sovereignty, and threaten the extinction of the Southern Resident Orca Whale, of which only 75 remain. The Indigenous-led movement against pipelines continues to win victories and gain momentum across North America. In May, energy company Kinder Morgan abandoned its Trans Mountain Pipeline Expansion Project after it faced an overwhelming wave of protests and negative press across Canada and in the Pacific Northwest United States. It announced it would be selling the project to the Canadian government, which is preparedto spend billions of dollars of public money purchasing TMX and is currently seeking a new buyer for it. In recent weeks, more than 200,000 people from around the world have joined Greenpeace’s global campaign calling on 12 major global banks (“the Dirty Dozen”) to commit to stop financing dangerous tar sands pipelines and Energy Transfer Partners, the company behind the Dakota Access Pipeline. This includes pipelines that would expand Canada’s tar sands (e.g. 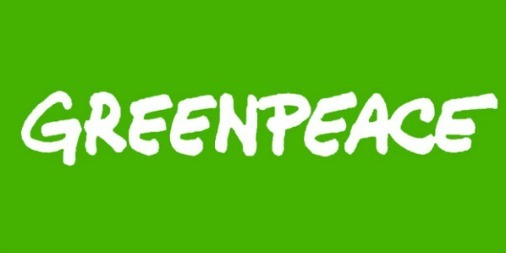 TMX, TransCanada’s Keystone XL, Enbridge’s Line 3) and those proposed by Energy Transfer Partners, which has launched a meritless$900 million lawsuit against Greenpeace U.S.A, Greenpeace International and other groups, designed to intimidate and silence critics.